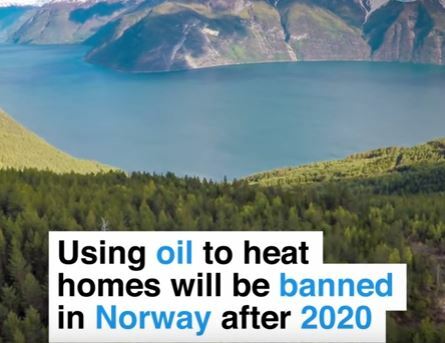 Oil producer Norway will prohibit the use of oil and paraffin to heat buildings from 2020 as it tries to rein in domestic emissions of greenhouse gases. The ban will cover new as well as old buildings, and applies to private homes and businesses as well as publicly owned facilities. The fossil ban is a paradox for Norway, green groups say, as the country generates half its export revenues from crude oil and natural gas, lifting per-capita gross domestic product to around $70,000, one of the world’s highest.